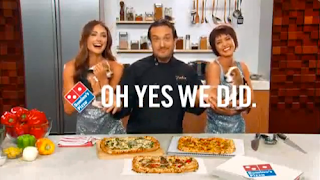 Ever since Domino’s decided two year’s ago that they were sick of people calling their pizza a bigger joke than Kris Humphries, and revitalized their pizza with a complete tear down that included a brand new garlic crust and ingredients that weren’t processed by a chemist, they have been getting bolder and brasher with their gimmicks and claims. The newest of these is their new Artisan Pizzas. 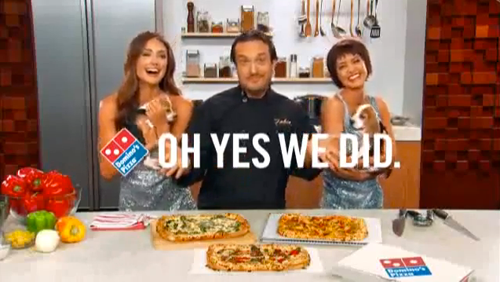 Despite the goofy ads involving a sunglasses wearing walrus and blooper reels from Fabio Viviani, Domino’s comes right out and tells you on their site and pizza boxes that they’re no artisans. 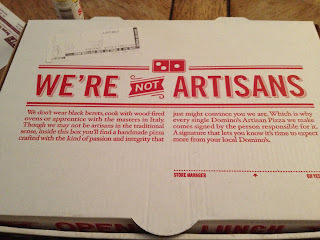 The whole artisan ideal has taken over the fast food industry with more vigor and frenzy than if Justin Bieber unexpectedly showed up at a daycare. The term has been used to death, and has little meaning now (actual meaning is something delicately hand crafted and representing high quality). I used to proclaim that artisan meats and cheeses had enough prestige to choke a puma, but now with Burger King claiming their buns were hand crafted by a man of the arts, it makes me want to yak. 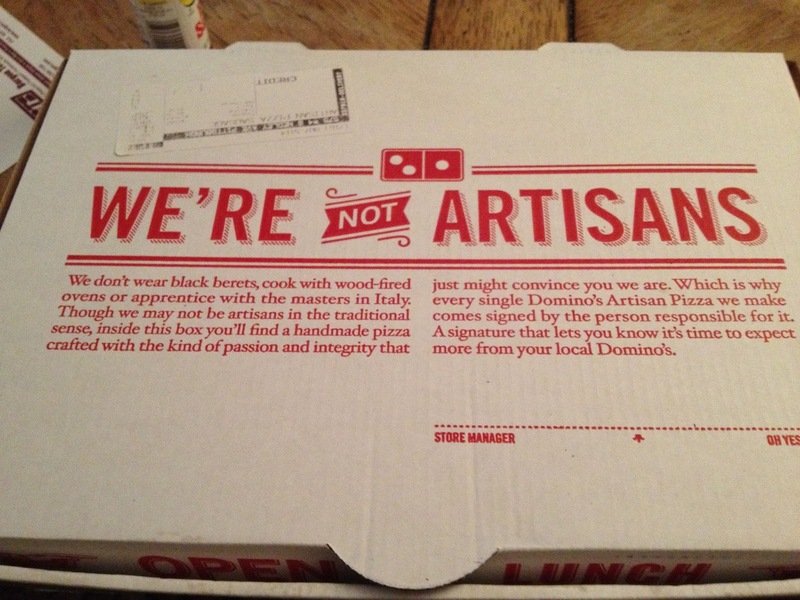 By claiming that they’re not artisan’s but work their tails off with the passion and integrity of Yanni, Domino’s is betting the common peasants will be fooled into believing their employees are milling around with black berets. In trying to pull this off Domino’s is offering three varieties of rectangular shaped pizza’s made with “hand-stretched artisan style crusts and perfectly balanced combinations of select quality ingredients”. Keep in mind this is Domino’s we’re talking about. I’m pretty sure Barry, with his 6 years of loyal service, is applying the toppings with as much balance as Chaz Bono’s hormone levels. 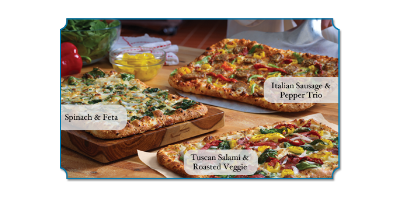 The three varieties include a Spinach & Feta with an alfredo sauce, Italian Sausage and 3 Pepper Trio (banana, red, and green) with a traditional tomato based sauce, and the Tuscan Salami & Roasted Veggie with a garlic parm sauce dog. To review these seemingly doomed to fail creations, I got together with fellow FFG writer Steve at his humble abode. 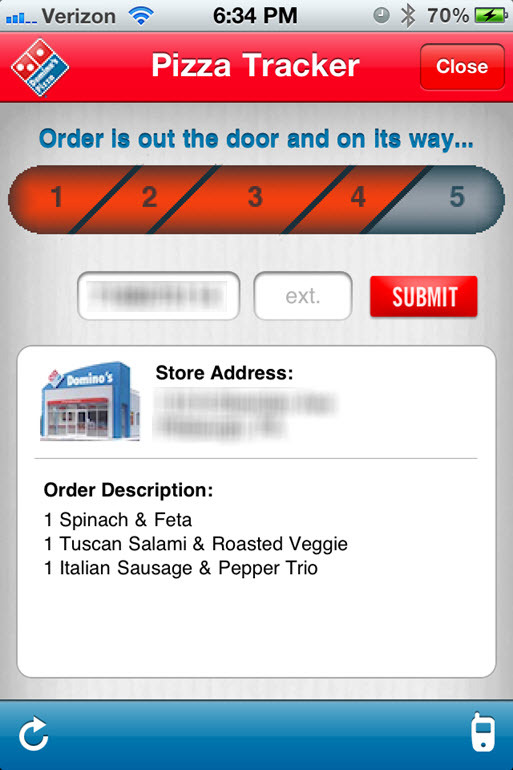 Utilizing the nifty and swifty Domino’s iPhone app, we tracked our Pizza all the way from prep to polish until it reached the front door. I don’t know about you but I’ve never heard of an artist named Jagdish. 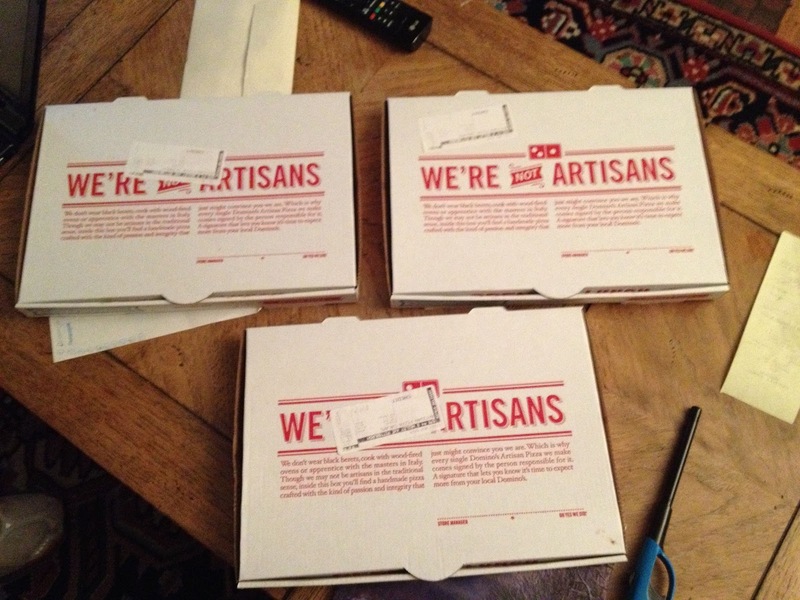 After Danje handed us our pies, we were immediately alarmed by the size and stature of the three boxes. They had the sturdiness of thirty feathers glued and paper clipped together, and I’ve seen trapper keepers with more gurth. Underwhelming at best. 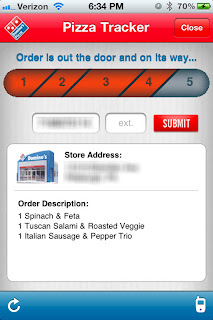 Despite Domino’s claim that these serve two, I’m pretty sure that anorexic girl you knew from high school could plow through one of these. Despite the size issues, we were fairly impressed by the array of toppings and the understated yet overstated appearance. 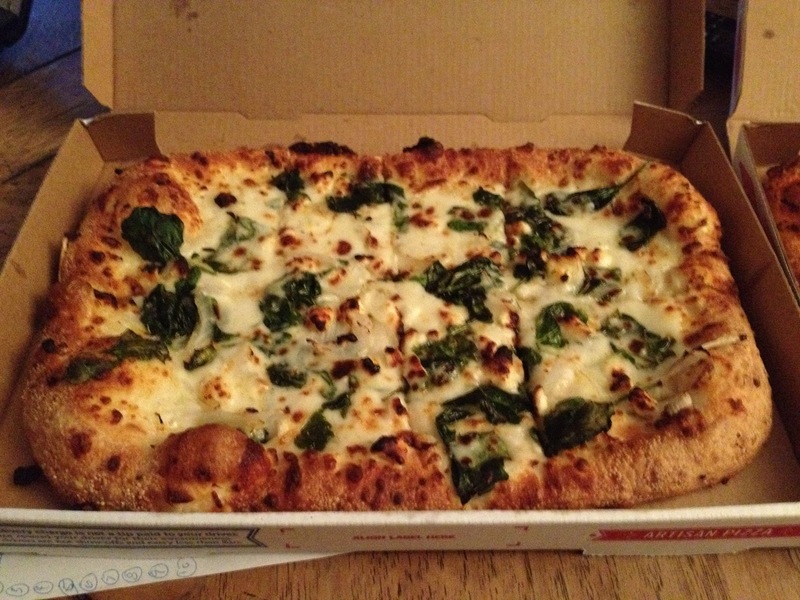 Diving into the Spinach & Alfredo, one thing became abundantly clear. 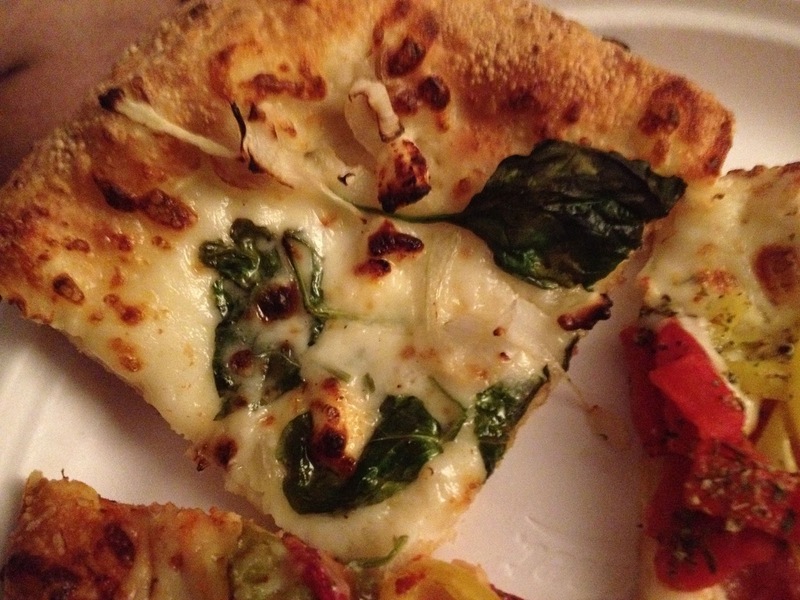 The crust had the craft of a colorblind pre schooler. Not quite thin, not quite thick, it had a Dr. Sloppy and Mr. Floppy bipolarity to it. 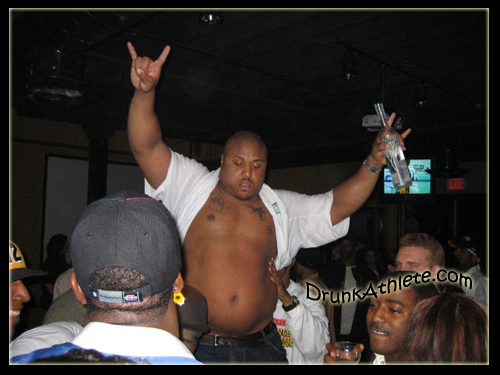 The Spinach and Alfredo was clearly a weak link. Lacking any sustainability by not having a meat involved (Steve noted grilled chicken would have been a perfect addition), and with an Alfredo sauce that was richer than the guy who invented guacamole, we were immediately turned off by this overbearing bake. The spinach leaves were also creepy, shriveled, and quite possibly imported from Detroit. 1.5 for the Spinach Alfredo. 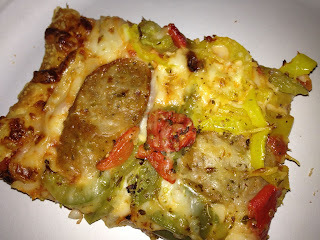 Next was the Italian Sausage and Pepper Trio. 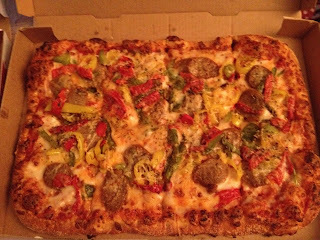 Out of the three, this was the most traditional, with a stock marinara and a fairly ordinary topping assortment with sausage and peppers. To try and spice it up a notch, Domino’s cut up links opposed to the ground up sausage you would normally find in a pizza. The sausage was bold and flavorful, but you were pretty much allotted to one piece per slice. I guess they limited Jagdish to one link per pie. The pizza was decent but nothing that made us want to call her our congressman by any stretch of the proverbial imagination. 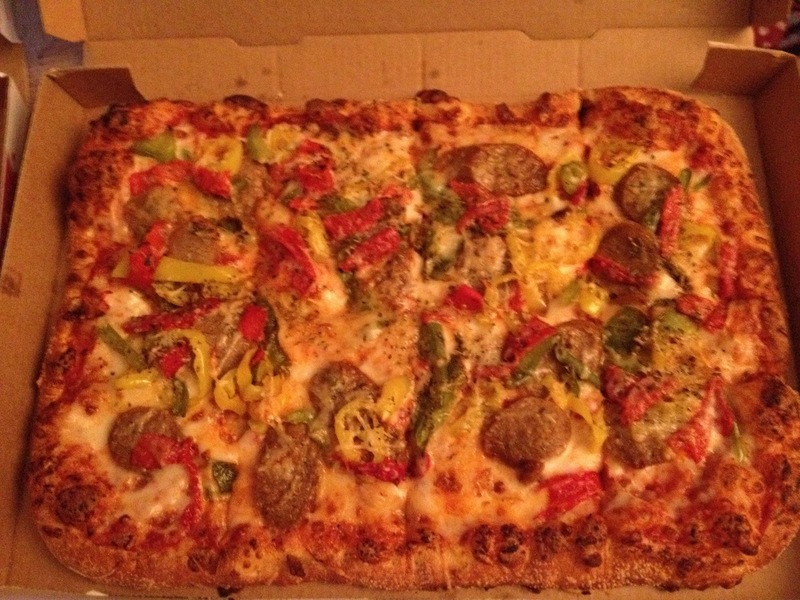 2.5 for the Italian Sausage and Pepper Trio. 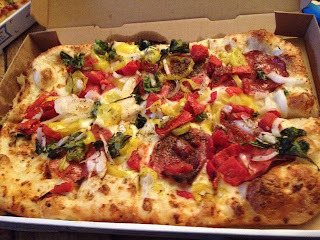 The last of the bunch was by far the best, the Tuscan Salami and Roasted Veggie. Despite the woeful symmetrical slicing, this sauce had a tangy,divine like zest, slices of salami that I’m quite sure was straight out of the fields of Tuscana, and a load of onions and peppers that were caked on and baked on with the zealous and zeal of a zephyr. 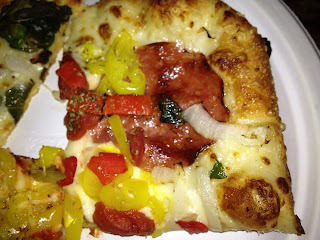 I can’t recall ever having salami on my ‘za and it opened my eyes to a new realm of wonderment. 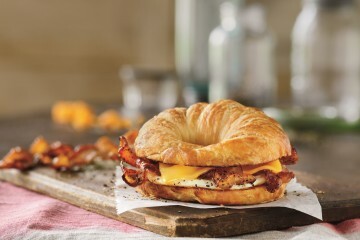 Steve and I both agreed that this was the one that would actually be worth ordering again. 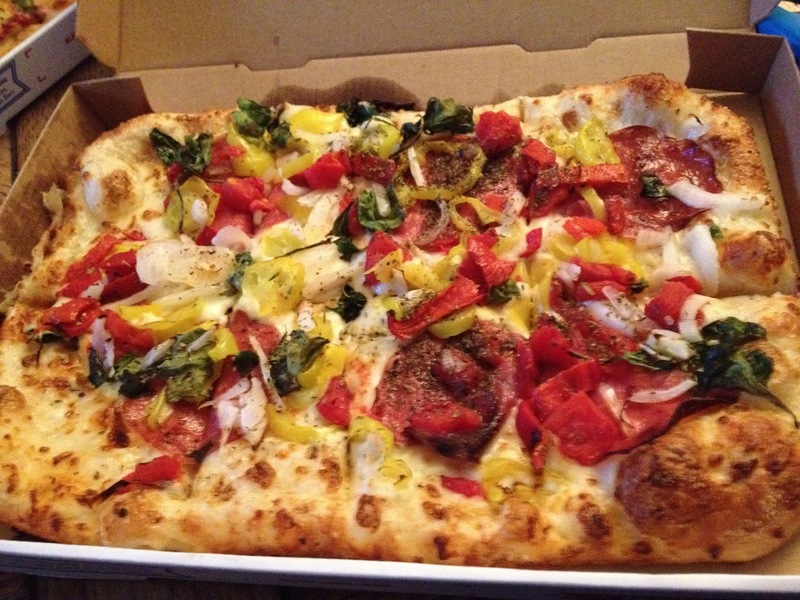 3 for the Tuscan Salami and Roasted Veggie. This is where the story takes a turn for the creepy. While investigating our boxes further, reading the sarcastic diatribe on the box and realizing that despite the promised seal of approval from a Domino’s manager being mysteriously vacant, we got a belligerent and persistent phone call from Danje! He told us he was here with our pizza, and despite Steve’s insistence that we had already been pizza’d, he wouldn’t let up. Opening the door, the mysterious man was there sure enough. Handing over another dozen doughnuts, I mean pizza box, he claimed that here was our corrected pizza. 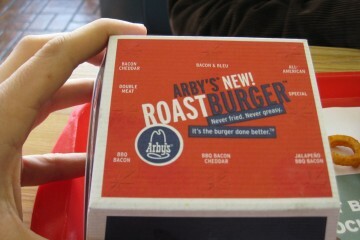 He said that they got a complaint about the original and were giving us the right order. We never placed a complaint. After Danje disappeared into the night, we opened the box to reveal another Spinach & Alfredo pie. Granted we had complained about this one the most, but Domino’s would have no way of knowing. 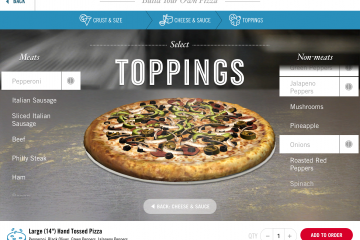 Looking around with the shock and horror that Casey Hampton’s chef does during Thanksgiving, it was deduced that no explanation could be formulated other than Domino’s was so ashamed of their original offering that they made another one fully expecting a complaint to be filed. Strange, bizarre, and off the wall indeed. 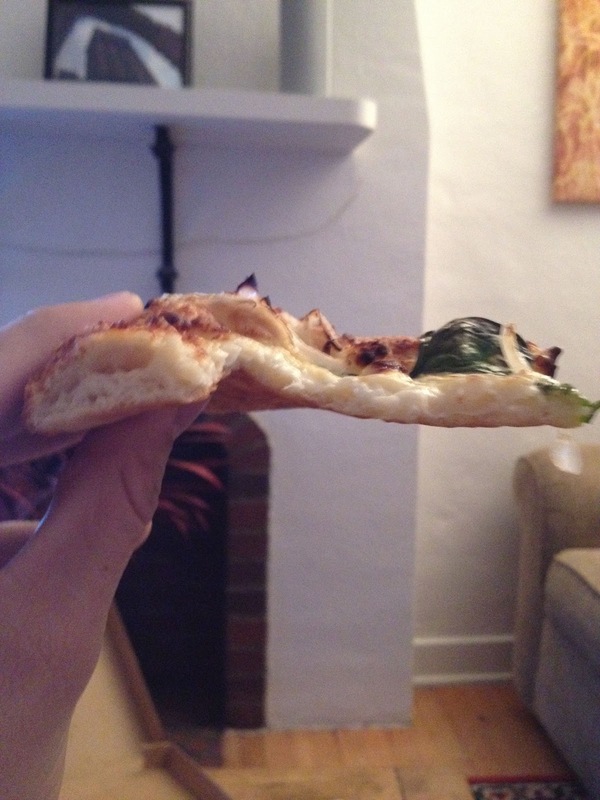 Despite the highly obvious notion that the pizza could be tainted with bodily fluids, we ate it regardless. 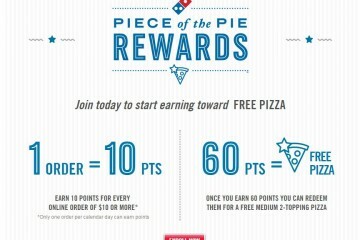 Hey it’s a free pizza. 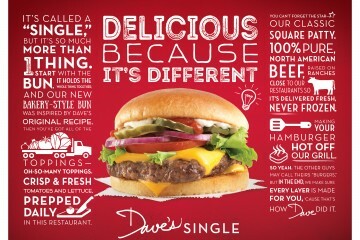 But yeah, not any better than the first one, maybe even soggier. 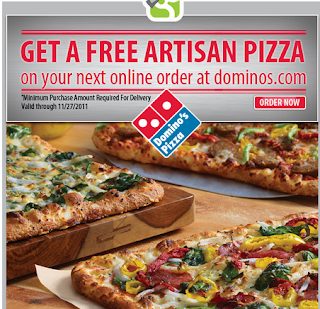 So while all the varieties aren’t up to the lofty artisan standard, the pizza’s are definitely worth a shot. But remember, they’re smaller than your mom’s old hatchback, so get two!